Although the term “barleywine” has been around for a lot longer – some historians have traced it back as far as ancient Greece – barleywine as a commercial product was only first labeled as such by the Bass & Co. Brewery in 1903. Stylistically-speaking, barleywine is an ale that is characterized by its full body and high strength, usually between 8% and 12% ABV. 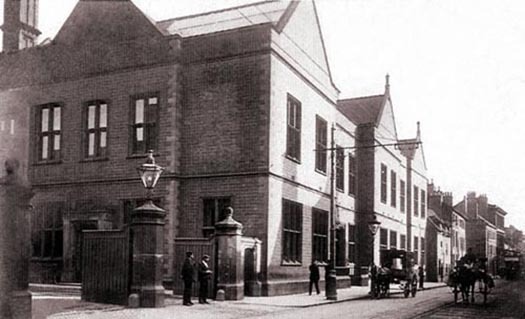 The Bass & Co. Brewery, circa 1904. Photo courtesy burton-on-trent.org.uk. Barleywines originated in England, and were so named because of the fact that even though they were made from barley, they approached the alcohol levels of wine. Beginning in the eighteenth century, British brewers began the tradition of producing small quantities of special strong ale, often commemorating a season or event, and aging them for extended periods. In England, these products were variously called old ales, stock ales, strong ales, etc. In Scotland, they were referred to as Scotch ales or wee heavies. Some were aged or blended with younger or lower gravity beers. Most have evolved into their own distinct styles in modern times. Barleywine owes most of its heritage to old ale, giving rise to the common practice of incorporating the word “old” into the labeling. These early strong ales developed some of their unique and rich characteristics from the long aging cycle in wooden casks, much like wine. It’s been suggested that this fact contributed to the name, but there’s little historical proof of this. 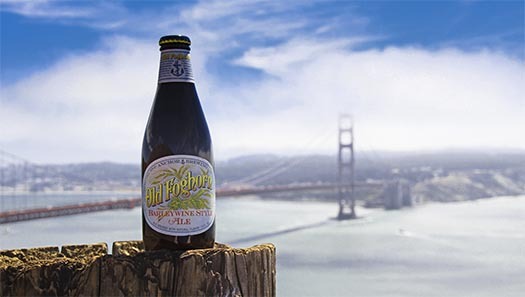 Originally unique to England, the very first American barleywine was brewed by Anchor Brewing Company in 1975, employing the traditional method of using only the first runnings from the mash. In eighteenth- and nineteenth-century English breweries, this was called “parti-gyle” brewing, where two, or even three, separate beers were made from successive runnings from a single mash. The first runnings were used for strong ales or barleywines, and the subsequent runnings used for weaker or “small” beers. We labeled ours “Old Foghorn” in keeping with the tradition of incorporating the word “Old” in the name, as well as carrying on the maritime theme of Anchor Brewing. 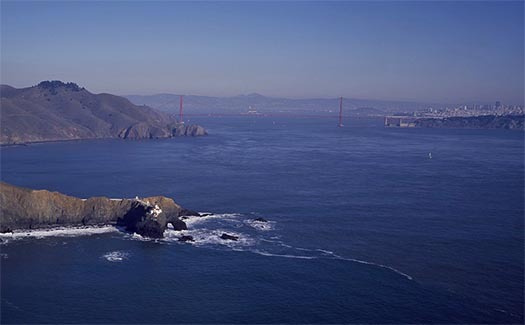 Point Bonita Light Station, located just outside the entrance to San Francisco Bay, had the first fog signal on the West Coast. Source: uscg.mil. Today there are many brewers in America and England producing a barleywine. The English versions tend to be less hoppy than American barleywines and have a wider range of color. Both have gravities between 8% and 10%, with a few ranging higher. Now categorized as “strong ales,” organizations such as the Brewers Association and the Beer Judge Certification Program (BJCP) have assigned individual style profiles for the two versions, as well for their progenitor, old ale. Barleywines were traditionally bottled in “nips,” which are seven- or eight-ounce bottles, and a few still are today. Given the high alcohol content and the higher hop rates of today’s barleywines, they age very well in the bottle and are often cellared for a few years by beer enthusiasts.Vintage dating by brewers, who often release these beers seasonally, has become common as well.Best enjoyed in small servings, barleywine makes a wonderful after-dinner drink.A modern tradition has developed where a tulip or wine glass is now used to present barleywine so as to enhance the experience, and allow the full enjoyment of the aromatic profiles of this exceptional style. A “nip” of Old Foghorn Barleywine. So next time you pour yourself an Old Foghorn Barleywine, Raise Your Anchor to the Old English traditions that gave us this delicious and unique beer. It is interesting that the BJCP’s view of English or British barley wines are that they are not well hopped. Brewing historian Ron Pattinson ‘ s recent book “The Homebrewers Guide to Vintage Beer ” shows actual recipes of traditional British beers going back up to 200 years ago. Many of the Barley wines / strong old ales show hopping levels could be very high, often higher than modern US versions.